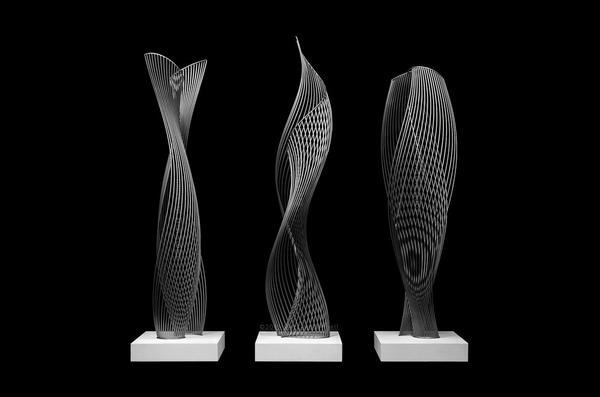 Fabulous trio of metal sculptures...together or separate. The curves of the steel create a magical and captivating visual piece of art. A wonderful mix of positive and negatives space truely enhanced by light as the shadows mix with and extend the vision of the artist across space. Create a magnificent focal point with a custom piece of art.